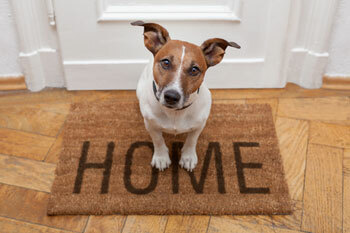 To register your pet as an ESA, click here. The one requirement for a person to legally qualify for an emotional support animal (ESA) is that the person has a letter from a licensed mental health professional (therapist, psychologist, psychiatrist or medical doctor) on his/her letterhead that states the person is under his/her care, is emotionally or psychiatrically disabled, and prescribes for the person an emotional support animal. Without this letter, if the person presents an animal as an ESA, he/she is in violation of federal law; an offense punishable by fine and imprisonment, if convicted. If you have no therapist or your therapist is unwilling to write a letter of prescription for an ESA, we recommend Chilhowee Psychological Services, who offers a disability assessment designed to determine your eligibility. If you meet the disabled criteria based on their assessment, then they also send that RX letter to you, written by a licensed therapist. Click here to review. Question: Did John's landlord correctly handle John's request under the Fair Housing Act? What if John wanted a cat or a ferret instead? Answer: No, John's landlord did not handle his request correctly. The landlord cannot charge John a pet deposit for his animal because it is not a pet, but rather emotional support animal required for his emotional impairment. Further, the landlord cannot ask for proof that the animal is trained. Lastly, emotional support animals do not have to be just dogs; they can also be other animals, such as cats or ferrets (and many other species). Ask a tenant to pay a deposit, fee, or surcharge in exchange for having an emotional support animal, even if they require such a practice from owners who wish to obtain pets in their dwelling. Inquire about the extent of the disability, or ask for detailed medical records for the individual requesting the emotional support animal. A person with a disability may, however, be charged for damages caused to the premises by their emotional support or service dog. You'll need to be prepared to reinforce your position and case with supplemental documentation from a physician or mental health professional that verifies your need for the animal. To register your pet as an emotional support animal, click here. *Based on statements by Fair Housing Advocates, Inc.